St Joseph’s School U11 Netball team played a league fixture against St Stephens School at St Stephens on Monday 31st January. St Stephens opened strongly scoring 3 goals in swift succession to gain an early 3-0 lead. Elysia Endacott and Tanna Rundle again played well in attack and Holly Howells showed tremendous energy in defence. Netball teams from years 8, 9, 10 and 11 travelled to Trinity School, Teignmouth for the annual SW ISA U14 and U16 Netball Tournament on Saturday, 22nd January 2011. It was a very cold day but all the teams started brightly. Matches were extremely competitive and St Joseph’s players gained momentum and strength. The other schools competing were Bolitho and Trinity. All four teams and their strength proved too much for St Joseph’s. During the third round of matches our U16 played our U15 team and the U14 team played our U13 team. Spirits were running high with the other older teams just winning in both matches. Players of the tournament were U14A Kate Marks and Rosie Bright; U14B Rosie Hellyar and Emma Gillard; U16A Lauren Jasper and Alex Reeve; and U16B Charlotte Parnall and Beth Matthews. Thanks you to Trinity School for hosting this event and for all the parental support. St Joseph’s U11 Football team played Egloskerry at Egloskerry School on Thursday 20th January and had a convincing 12-0 victory in this league fixture. St Joseph’s dominated this game with spectacular shots from Alex Hellyar and Guy Wakefield from long range. Michael Barton worked tirelessly throughout the match scoring 6 of the 12 goal tally. Egloskerry gave a brave performance and didn’t give up. Player of the match was awarded to Maddy Brewer who despite suffering an injury to the face carried on playing. Representing St Joseph’s: Rhys John Gardner, Alex Hellyar, Guy Wakefield, Chris Thorns, Michael Barton, James Law, Archie Sparrow, Holly Howells, Maddy Brewer, Max Wickerson Hunt, Sam Mills. St Joseph’s hosted this friendly fixture on Wednesday 19th January . St Joseph’s started strongly and maintained the momentum to gain a convincing victory winning the game 16-1. This was the Lewannick team’s first match; they worked hard throughout but found it difficult to match St Joseph’s speed of passing and determination to win the ball. The St Joseph’s shooters Tanna Rundle and Elysia Endacott met their goal tally targets and received the Players of the Match award. Holly Howells, Jim Luckhurst (capt), Michael Barton, Elysia Endacott and Tanna Rundle. The Autumn term 2010 has seen much progress on all fronts from our junior and senior tennis players, at St Joseph’s we run an excellent tennis coaching programme offering mini tennis (red,orange,green) and squads for players on the full court as well as individual lessons. 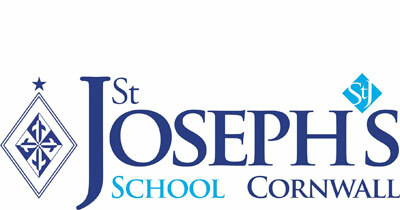 St Joseph’s school offer competitions such as inter house tennis, an annual school singles competition for junior and senior players alike and competitions against other schools. My vision is for more school competitions for all ages and stages and to get more players participating in club tennis either with me in Launceston or for those who live further a field at their local clubs. With more tennis, playing standards will rise and with more competitions better ratings will be achieved great for the children, great for St Joseph’s. Any parents wishing to discuss any tennis related matter or just have an update on your children’s progress in general please contact me. I am not just here to teach but to guide you in to the world of tennis should you wish. Launceston tennis club boast a great facility with three full size courts and a mini court all floodlit within the town. Membership for juniors is a real steal at low prices and any players that want to gain access to further practice either with further coaching or practice in general then this is of great value. Any player wishing to get more information can contact me or visit the Launceston tennis club website.